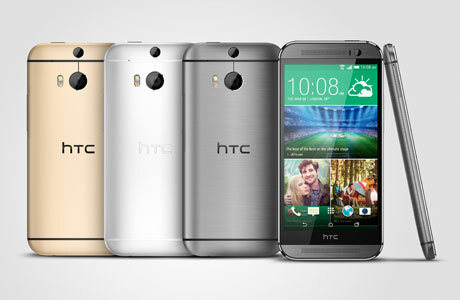 HTC‘s newest flagship smartphone, the HTC One (M8), has been announced and is available as a Google Play Edition running stock Android 4.4 KitKat, or from carriers worldwide with the handset maker’s own HTC Sense 6 skin running over Android. The metal-bodied NFC handset features new ‘duo camera’ technology with a 4-megapixel rear camera supplemented by a smaller snapper to help the device perceive depth information in the scene. It is powered by a quad-core Qualcomm Snapdragon 801 processor running at 2.3GHz and has a 5-inch full HD display and integrated 4G LTE. The phone also features a power saving mode that, the company claims, will give 40% longer battery life than last year’s HTC One M7. The M8 is now shipping and will be available from more than 230 operators worldwide, in grey, silver and gold.